Around 1943. Aspiring stars had to schmooze the moguls, directors, producers and others who could influence their careers. 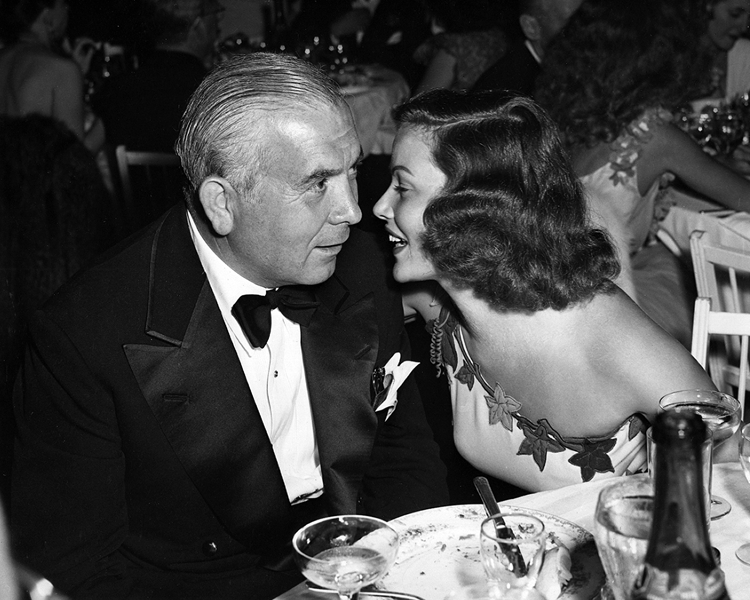 Here it looks like Gene Tierney has Spyros Skouras well under her spell. Skouras was the mover behind the merger of Fox with Twentieth Century Pictures back in 1935. He became president of 20th Century-Fox in 1942. Fortunately for Gene, he seems not to have had the predatory instincts of the likes of Harry Cohn and Darryl F Zanuck.